Two readings in New York City last week—one by novelist Roxana Robinson and reporter David Finkel at the The Center for Fiction, a bookstore and library in midtown Manhattan, and another of new works by three young military veterans at Pete’s Candy Store, a Brooklyn bar—put the subjects, themes, and styles of the contemporary war lit scene on full and somewhat contrasting display. The Center for Fiction event, titled Fact and Fiction, featured Robinson and Finkel reading from their respective recent works Sparta and Thank You for Your Service. Both Robinson and Finkel are established writers with a number of published works, prizes, and accolades to their names. Neither are veterans, but their most recent works alike concern themselves with the aftermath of war. 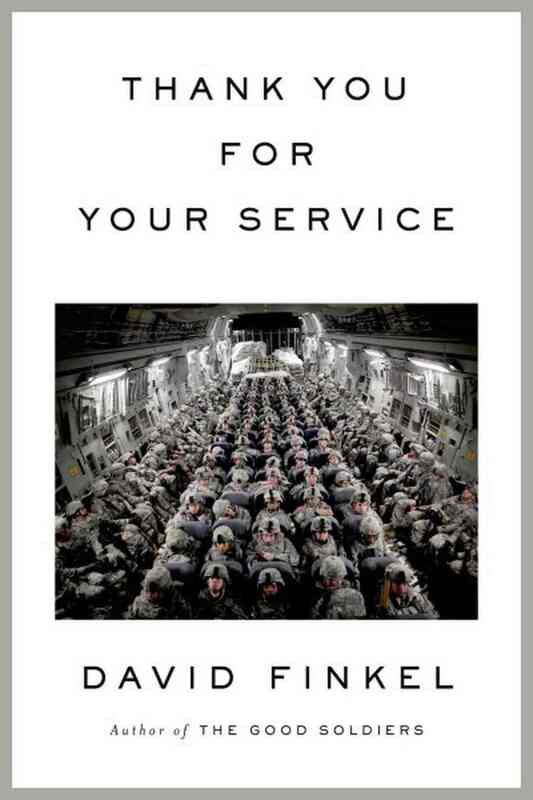 Sparta tracks the downward spiral of a young Marine Corps officer, while Thank You for Your Service documents the tumultuous post-deployment lives of the Army infantry soldiers featured in Finkel’s acclaimed The Good Soldiers. Though Sparta is fiction and Thank You for Your Service non-fiction, they share a similar prose texture. Robinson eschews flights of lyrical fancy for a plain style that mirrors reportage, and Finkel takes an almost anthropological interest in the daily details of the lives he describes. The passages each read might well have been extracted from the other’s book, with characters and events of each portraying the war’s ability to inflect or even ruin the most mundane of day-to-day peacetime activities. Both Robinson and Finkel have measured the psychological and social carnage wrought by the wars on those who fought them. Not every combat veteran is a tortured soul, but a whole hell of a lot of them are, and Robinson and Finkel are appalled by the extremely uneven efforts of the nation to adequately help them. The pairing of the two authors by The Center for Fiction makes sense, and would also work well in a college course or for anyone trying to understand post-traumatic stress. “Stories matter,” said Finkel, and together Robinson’s and Finkel’s narratives carry their fair share of the load and then some (my favorite line from the Ranger Creed) in reminding, alerting, and inspiring an often oblivious nation to help struggling veterans. Much is made of the “civil-military divide,” as if it’s the civilians who are out-of-touch with things. But Robinson and Finkel have performed yeoman work trying to understand military culture and then reporting back sympathetically to the American reading public, while also helping the military understand itself. Those in uniform should thank THEM for their service. 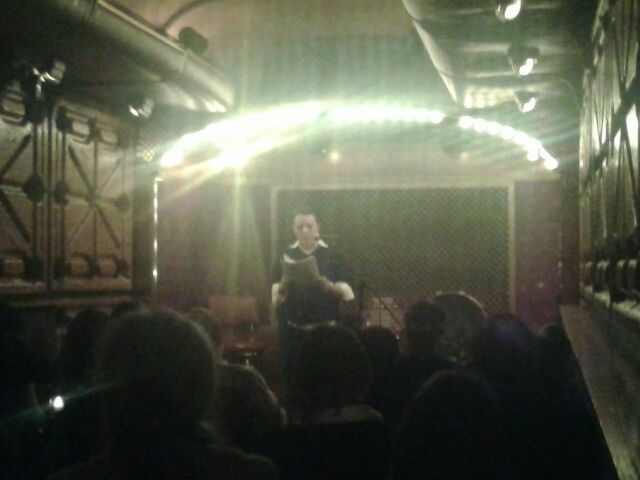 Kristen L. Rouse, a three-time Afghanistan veteran, read a short story about military operations in Paktya province, the same area of operations in which I served. Her story brought much of it back—the vehicle movements on IED-filled roads, the god-forsaken outposts, and the chai-drenched meetings with Afghans. Clap your hands and say yea if you’ve ever been to COP Zormat, it ain’t easy to get to…. Johnson Wiley, a Marine Corps vet now studying at Rutgers, followed with poetry that I found compelling and evocative. I have asked Wiley to send me a poem or two, and if he does I will post at least one. Last up was Ravi Venkataramani, a West Point graduate who is now studying for his MFA at Columbia. Venkataramani read a stunning story about a classmate’s death that portrayed the full measure of guilt and obligation inflicted on West Point grads by the relentless pressure of the military academy’s “duty, honor, country” ethos. In conversation, Venkataramani reminisced fondly about a West Point English teacher named Major William Hecker. I knew Hecker only from a few emails, but Venkataramani’s respect resonated with me. While at West Point, Hecker wrote a well-received critical work in which he traced the origins of a famous essay by Edgar Allan Poe (who briefly attended West Point) called “The Philosophy of Composition” to Poe’s service in the Army as an artilleryman. According to Hecker, Poe’s theory that all aspects of a work of fiction must contribute to a focused and climactic “literary effect” was garnered from artillery manuals that specified how to make bombs explode exactly on target. The irony of all this is that a year after publishing this work, which marked him as an Army scholar of enormous potential, Hecker, also an artilleryman, was killed in Iraq by an IED—perhaps a mine and not a buried shell, but still a death freighted with an extra measure of cruelness, in a war already full of it. 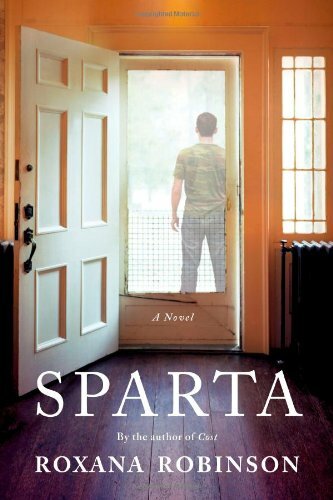 Roxana Robinson’s Sparta, published by Sarah Crichton Books/Farrar, Straus and Gioux in 2013. David Finkel’s The Good Soldiers, published by Macmillan in 2009. Fire and Forget: Short Stories from the Long War, edited by Roy Scranton and Matt Gallagher, published by Da Capo Press in 2013. Edgar Allan Poe. Private Perry and Mr. Poe: The West Point Poems, 1831, edited by William Hecker with an introduction by Daniel Hoffman and an afterword by Gerard McGowan, published by Louisiana State University Press in 2005. Thank you everybody concerned at The Center for Fiction and Pete’s Candy Store for staging such great events. Thanks also to Charlie Markley and Sean Case, who accompanied me to Pete’s Candy Store and helped make the night so enjoyable. This entry was posted on January 25, 2014 at 3:20 pm and is filed under Art and War. You can subscribe via RSS 2.0 feed to this post's comments.